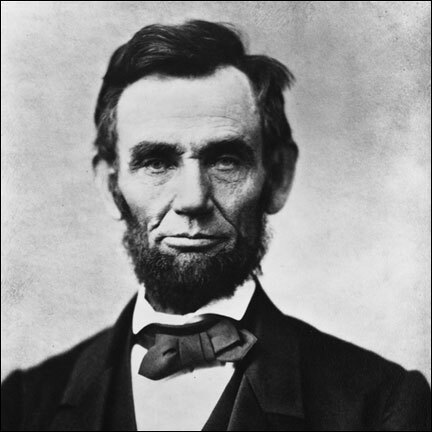 Abraham Lincoln cultivated a special ability to find brilliant deputies, a skill necessary for modern Social Capitalist leaders. We are captive in our leadership options. Let's go back to school on social leadership. Leadership is about life in society. Lincoln was a model social leader. Leaders find new paths of growth. Value shifts cascade social changes in business. Capture a sense of elsewhere and adventure. Learn from giants; be GE and HP and Toyota. Cultures pick winners, not vice versa. I have had a single motto since getting my doctorate from Cornell many years ago. "Actors speak of imaginary things as if they are real. Academics speak of real things as if they are imaginary." Lately, I have been applying that motto more rigorously to my consulting practice, and to my client's actions and plans. The world of corporate leadership is not simple, and the bigger the choices that have to be made, the more complex the path to growth. The royal court of corporate decision making is not as linear and direct as one first learns in business school. Those beheaded, or those that triumph, often do not follow routes as direct as a football game plan. I find that the best leaders are both in this world and in the world of the near future at the same time, with one foot in the here and now making the choices, and the other foot imaging the clear gain, for both the consumer and the company, when the product hits the market. After a few decades of practical reflection and experience in leadership, may I start by suggesting that some leaders lead by hurting, and a few special ones lead by healing. I do not mean anything wacky or new age by this. There are some corporations headed by people who don't care who they hurt as long as they are making a profit. On the flip side, there are leaders who heal by answering pressing social needs. We learn to trust these companies, some of which make major social contributions in the process of Social Response product development. However, humans have to learn over and over and over again what it means to be a leader. It is almost as if we need to experience the worst and the best of one another before we have perspective on leadership. It may have always been this way, but today's severity of issues and swiftness of information make this need for Social Response in leaders more pronounced. Abraham Lincoln, 8 November 1863.